Similar to the weather channel naming storm systems for recognition with the public, the group of WODs referred to as “the Girls” have been named for quick reference as a they were created as benchmark workouts in the early days of CrossFit. Since the start of CrossFit there have been numerous WODs created; a group of those referred to as “the New Girls” add to the already bench marked “Girls” to give you a good size list of WODs to attack. Below is the official list from CrossFit, enjoy! 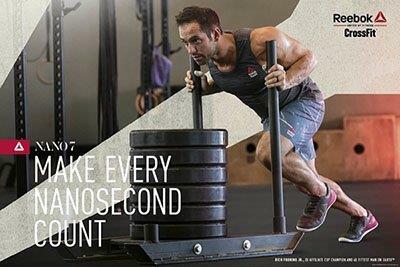 5 rounds, each for time; Rest precisely 3 minutes between each round. 5 rounds for max reps. There is no time component to this workout, although some versions Rx the movements as a couplet. For load; Touch and go at floor only. Even a re-grip off the floor is a foul. No dumping. Use same load for each set. Rest as needed between sets. 3 rounds for max reps; “Hope” has the same format as Fight Gone Bad. In this workout you move from each of five stations after a minute. This is a five-minute round after which a one-minute break is allowed before repeating. The clock does not reset or stop between exercises. On the call of “rotate,” the athlete(s) must move to the next station immediately for a good score. One point is given for each rep.